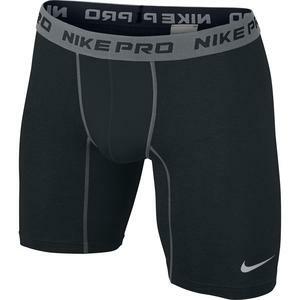 The Nike Pro Core Compression Boys Shorts have a tight, body-hugging fit for lightweight support, with strategic ventilation and sweat-wicking fabric to maximize comfort. Fabric: Body: Dri-FIT 90% polyester/10% spandex. Mesh/gusset lining: 92% polyester/8% spandex.